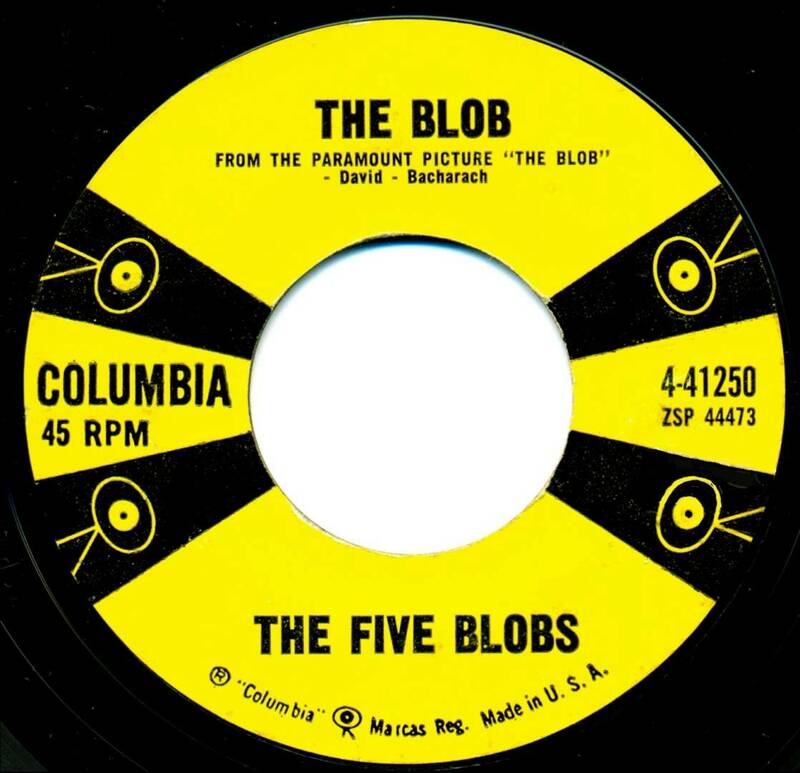 The Five Blobs was a band put together by session musician, Bernie Knee, to record The Blob for the 1958 cult film of the same name starring Steve McQueen. The song was written by Burt Bacharach and Mack David (Hal's older brother) and the recording became an instant hit and an all time Halloween classic. The Five Blobs went on to record and release a couple more 45s and that was it.